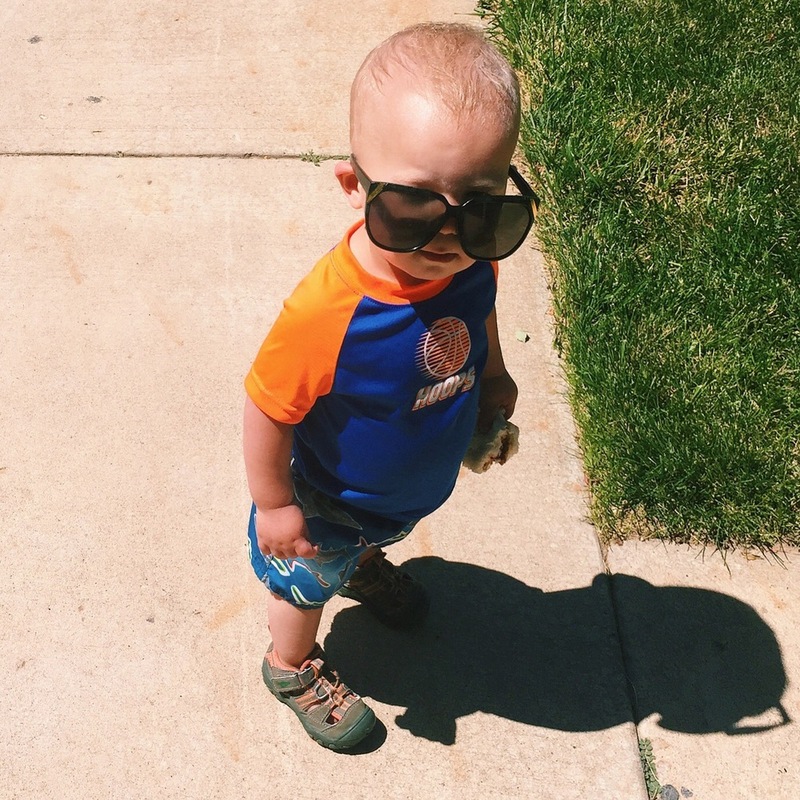 As many of you know, I posted a Summer Bucket List with my toddler in mind. I created it to encourage us to get out more and do new things together. To be honest, I kind of forgot about it for a while. Since opening the shop, our summer schedule has been super busy. When I remembered our bucket list, I looked over it to see if we had, unknowingly, completed things on it. To my surprise, we had! So I thought I'd update you on the things we've crossed off the list! We've been swimming at least 5 times this summer. Turner is a fish just like me. He can't get enough of water and slippery slides! His bravery is somewhat terrifying for me, but the happiness in his face helps me endure the constant anxiety. Turner is obsessed with bubbles. OBSESSED. I mean, most kids are, but I have to hide them from him so I can maintain consciousness and the oxygen in my body. I need one of these automatic bubble blowing machines. Batteries are easier to replace than lungs. We went to the South Ogden Splash Pad for Hazel's 2nd birthday party, and he was the only kid at the party to go in. Turner had a blast! He kept splashing in all of the puddles and giggling. I just adore him. Oh, and do you want to know the best part about this splash pad? It's free!! Are you seeing a theme yet? Haha! It's too hot outside to do an activity that doesn't involve water, okay? Now that I've been reminded about all of the other activities on our list, I'm excited to take Turner on some exciting adventures. What fun things have you done with your toddler this summer? What awesome things do you plan to do with your little one over the remainder of the summer? I'd love to hear about them!